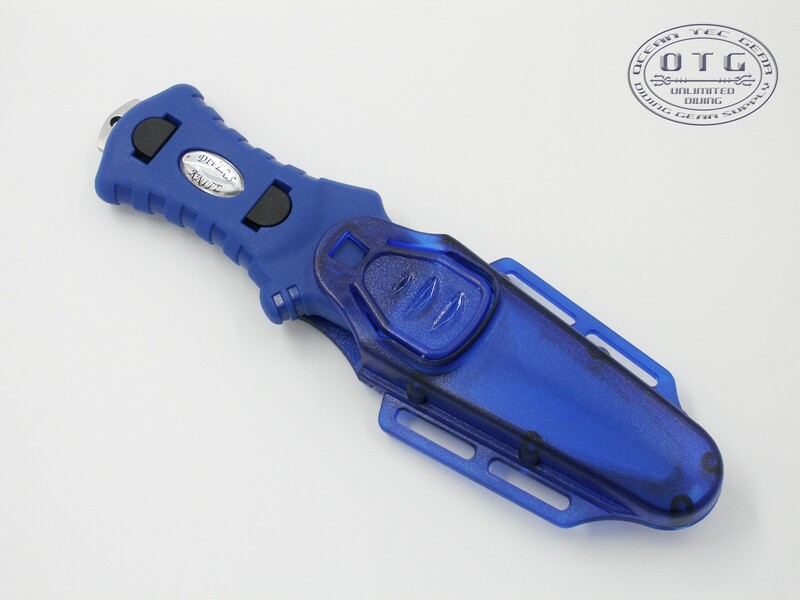 OTG Scuba Diving Stainless Steel Blunt Tip Dive Knife is a must have accessories for all of the scuba divers. 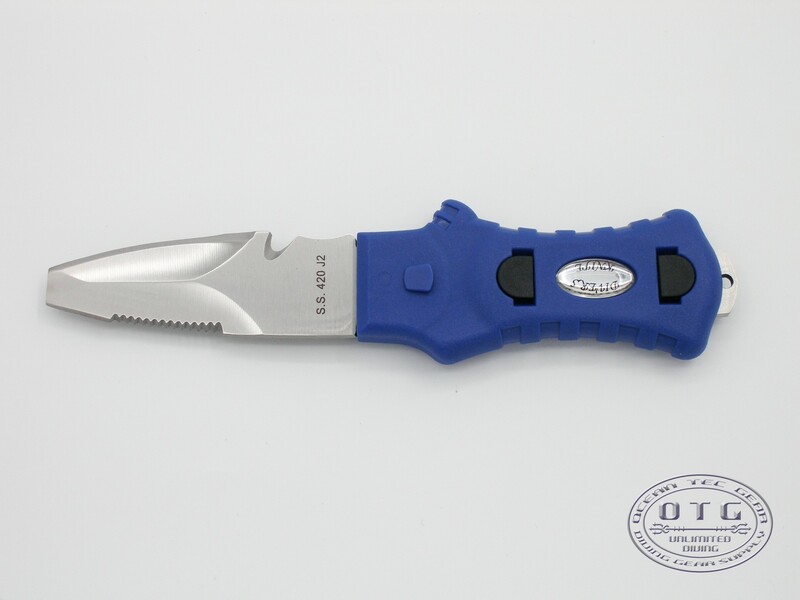 The 420 grade stainless steel blade is easy for maintenance. 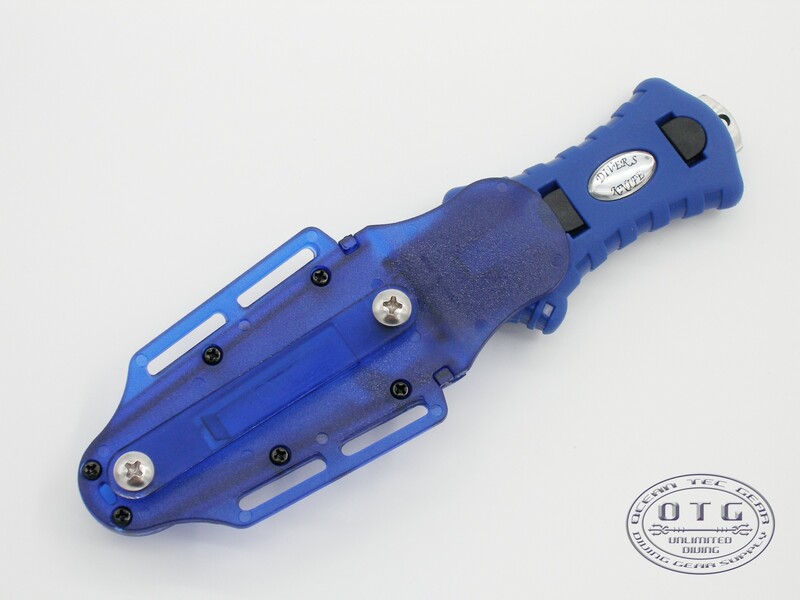 Our dive knife comes with 1pc. 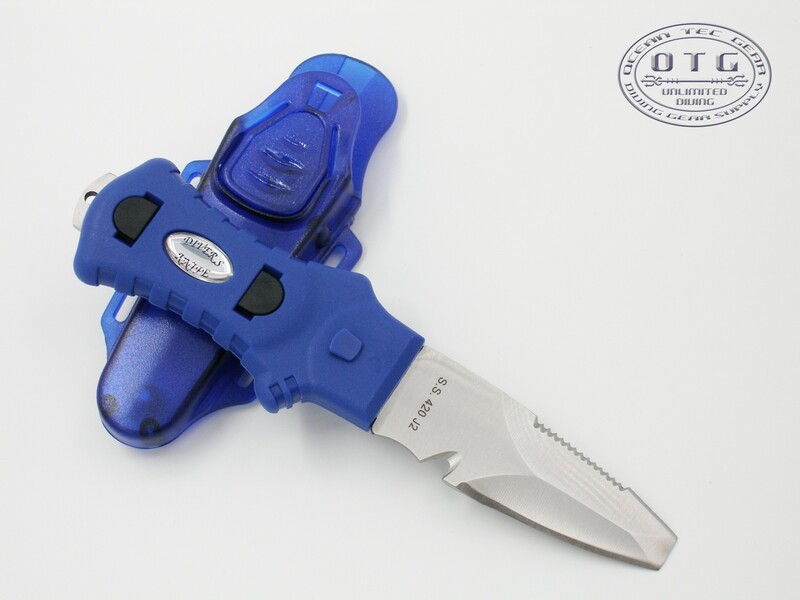 plastic sheath. 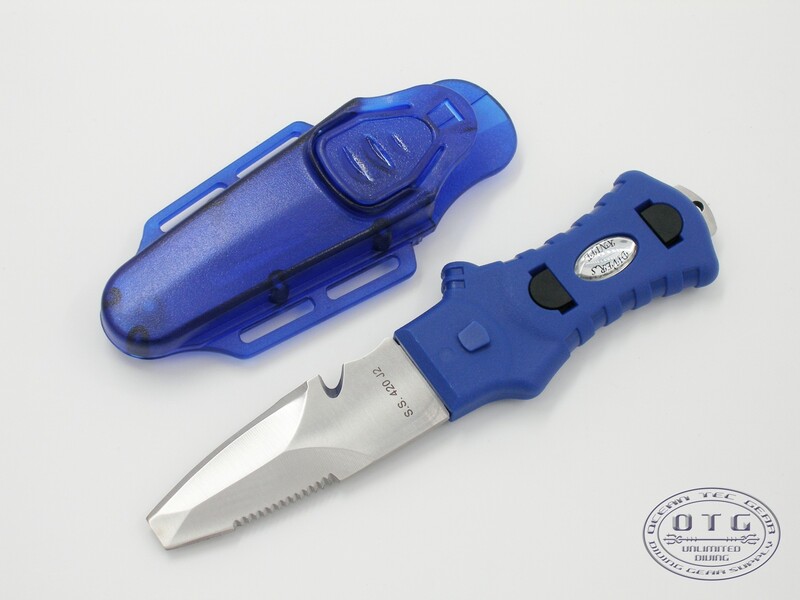 It is easy to install to the BCD or just keep it in the pocket. 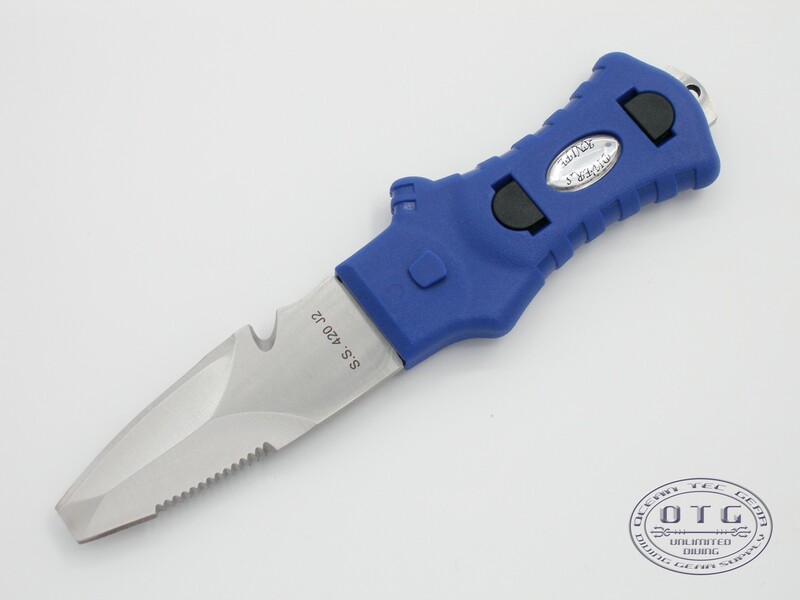 - Material of Blade: 420 grade Stainless Steel Blunt Tip. 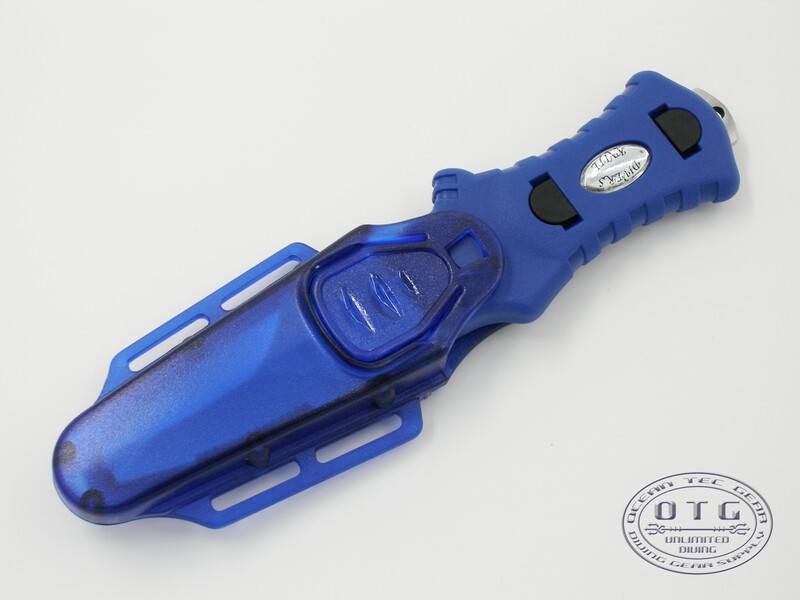 - Material of Handle: Sturdy Plastic Handle. - Blade: approx. 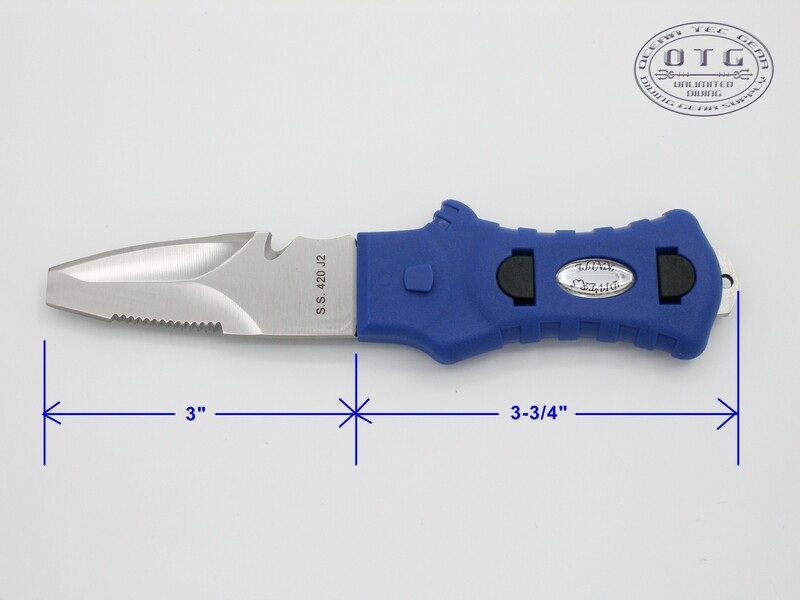 3 inches long #420 stainless steel blade, Top side with serrated edge, another side with straight edge and line cutter.